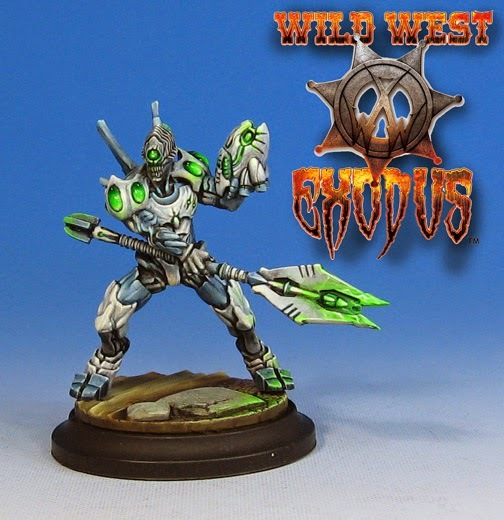 Cowboys vs Aliens! 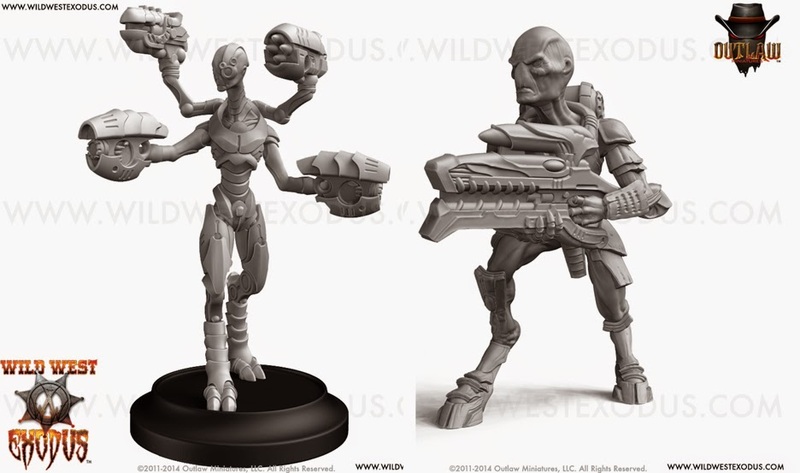 Yes indeed, the Watchers are one of the new factions which will be revealed, in more ways than one, in the upcoming Wild West Exodus kickstarter. These tricksy aliens have been working behind the scenes for an untold number of centuries, but now they will emerge to engage Mankind in person!! 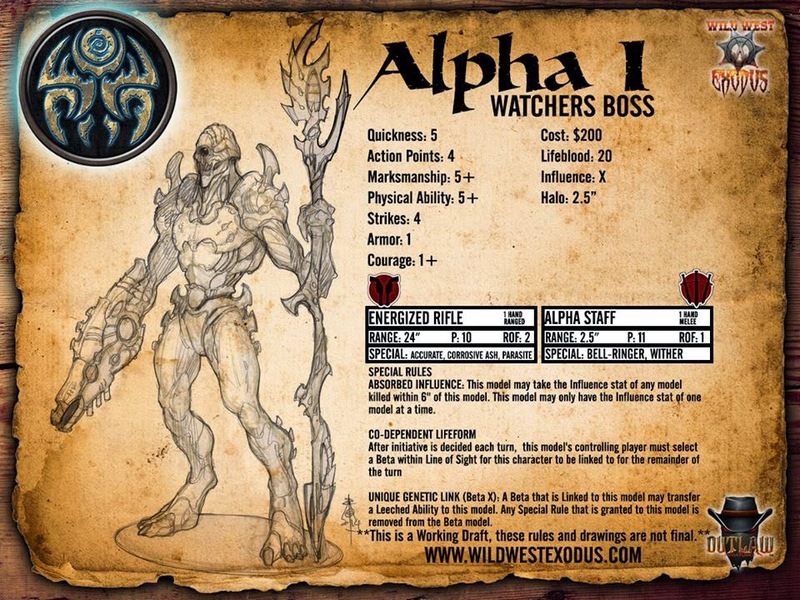 This is the first Boss of the Watchers, Alpha. I have heard that they have some mind blowing abilities that could make them one of the most unique factions I have seen in any game system. More of the Little Grey Men... The countdown continues!! !